Several years ago, Stardust carried this fun product, but it disappeared from production. 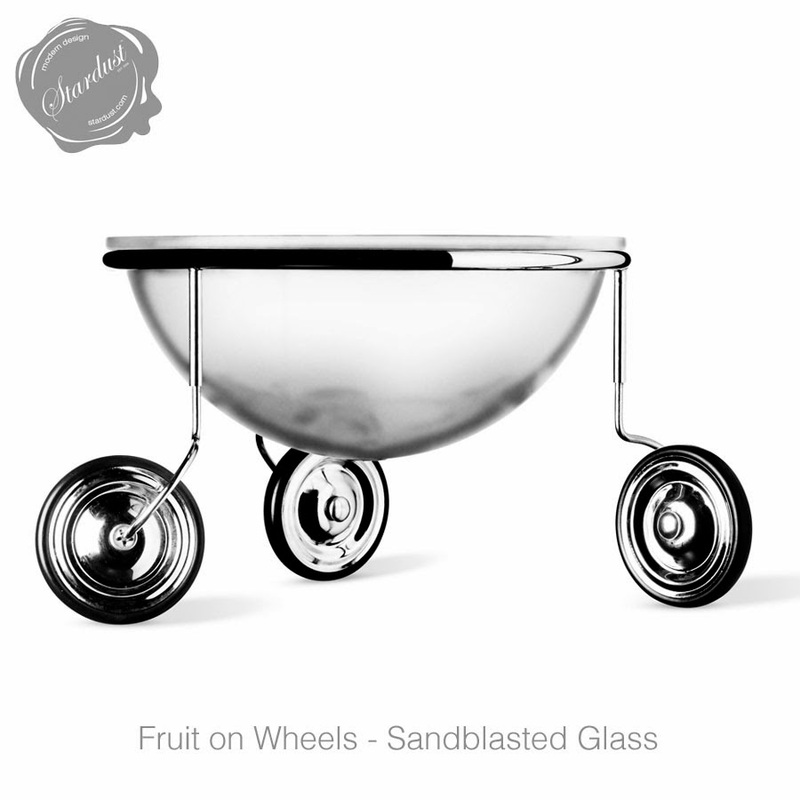 Fondness for it didn’t subdue, and when we found Fruit on Wheels again we brought it back. 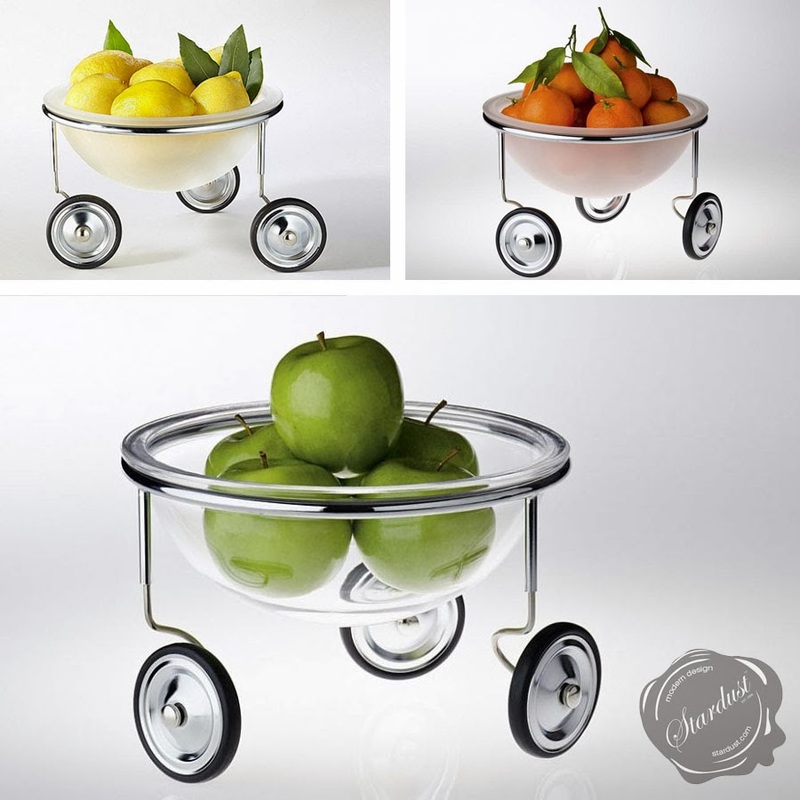 Designed by Arnout Visser in 1993, Fruit on Wheels is composed of a recycled glass bowl which sits on a tricycle made of tubular chromed steel and 360° wheels with black tires. 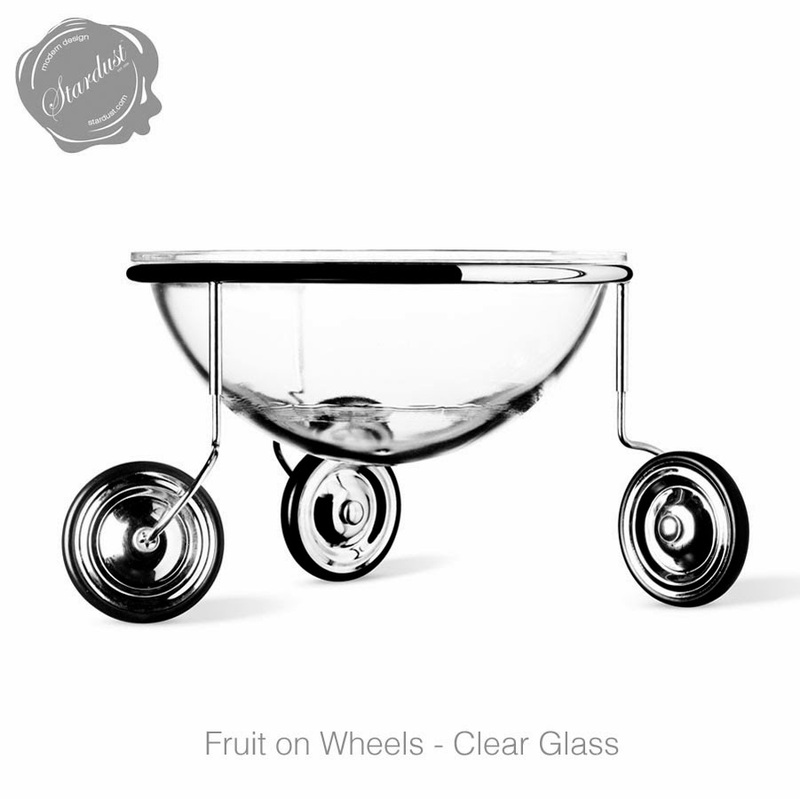 It is most maneuverable and gets fruit quickly to the one who desires it most, along with a touch of good humor, as is the designer’s way. Arnout Visser is a Dutch born, Italian-trained designer whose favorite medium is glass and whose design heroes are Kepler, Newton, Huygens, Van Leeuwenhoek, great 17th century scientists who designed their own telescopes and microscopes as well as their own experiments. His design approach is that of strict adherence to the basic purpose of the object, haha (our italics). His products have been exhibited at MoMA, London Design Museum, and Kunsthal Rotterdam, among others.